Good Evening Chaps and Chapessessssss! Okay, the cat jumped out of the bag officially recently that I am going to be building a larger version of the Andy Conway Tornado. The initial plan was for a massive 200% scaled plan but the cost of the plan and parts printing alone made this prohibitively expensive. So after a chat with fellow PSS'er Andrew Meade, A 150% print arrived via Phil Cooke at a much more reasonable price! This all took place around October 2017.. 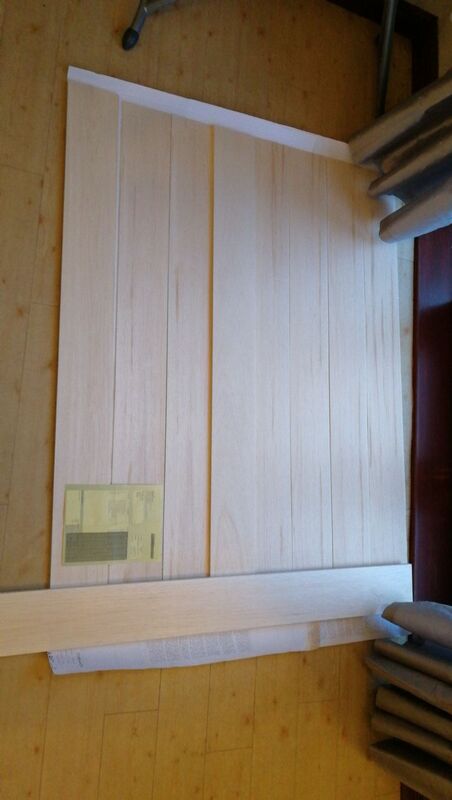 So with Christmas now well into the past, out came the plans and the special wood order went in to SLEC. 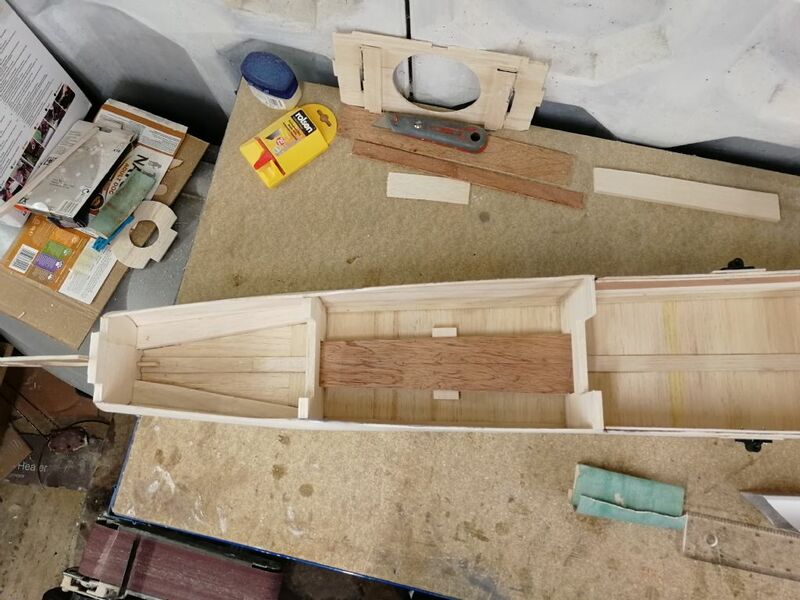 Standard plans are cut from 4inch wide balsa sheet... So a simple calculation showed I would need 6 inch wide sheet! 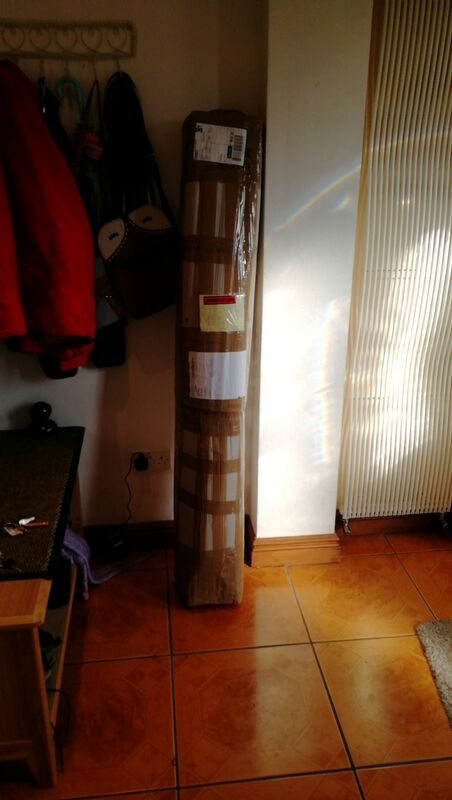 Luckily SLEC were able to accommodate this and before long a parcel of wood arrived! Now I do have some pictures but I'm not currently at my home computer so unable to put them up yet... I will add some pictures tomorrow! So here we go..... Its BIG TONKA TIME!! Swing wing with rotating hard points too Dave? Fixed wing but I may look at droppable wing tanks for use on bombing comps! Will no doubt be using some of your great pictures for reference Phil. 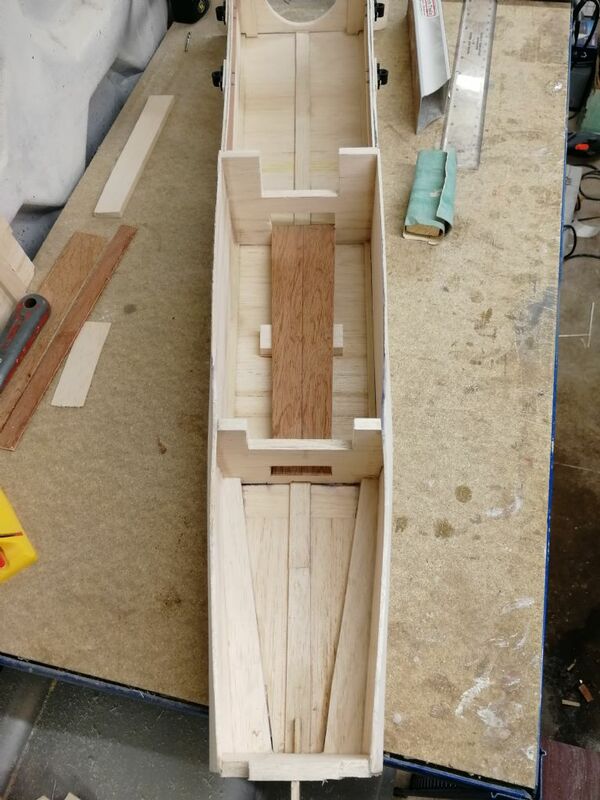 The big job of cutting out all the parts has begun and I will update with some pictures and words tomorrow. In the mean time.. Back to work!! Looking forward to this - someone (can't remember who) had an F.3 enlarged from Andy Conway's original plan in the 1990s and performance was excellent. Good luck with it. 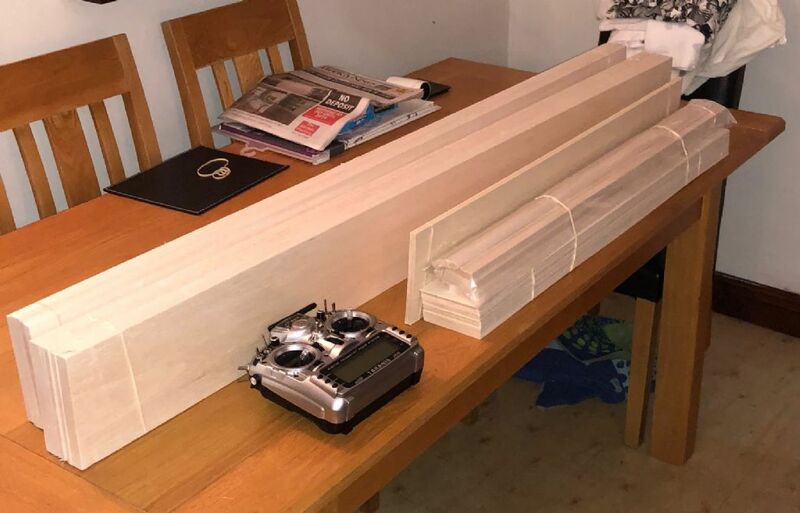 Great stuff Dave, good to see a build thread If you guys need any 3D printed parts drawing up and making, just drop me a line. First is the arrival of the wood! That's quite a lot of wood there! The left had pack is all 6 inch wide and 5 ft long! Tx for scale! To quote S.R.Hadden in the film Contact... " First rule of Government spending, Why have 1, when you can have 2 for twice the price!" So all that wood split into 2 nice piles... 1 pile per model! 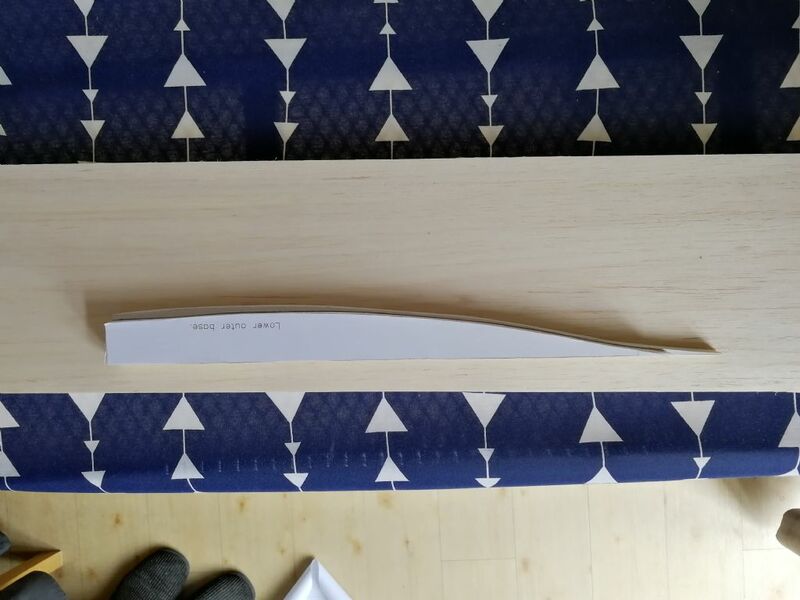 Having cut out the individual sheets from the parts plan, these were then glued to one set of wood. 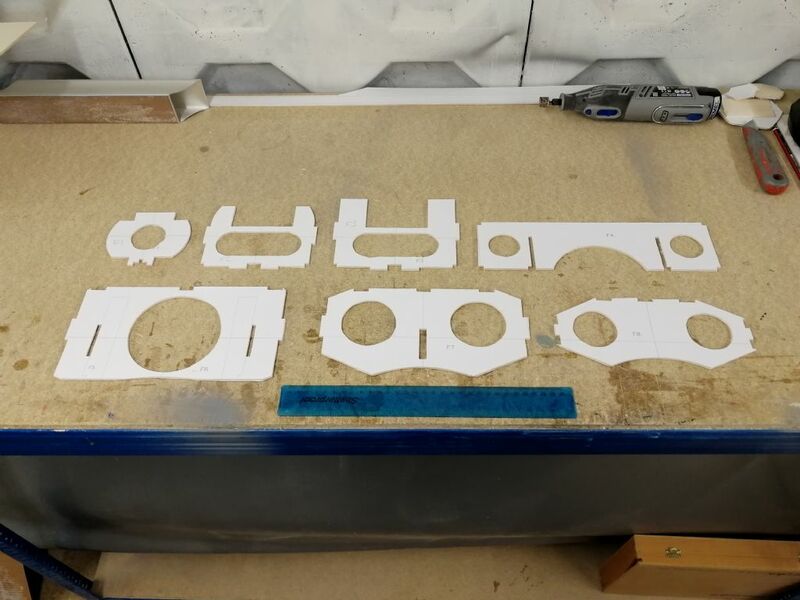 Once each part has been cut out, it is then traced around onto the second set of wood in order for Warren to cut his parts out! So there we go.... The parts process is underway! Stay tuned.... More to follow!!! Andy, Might be looking for some nice printed exhausts! I think that fibreglass is the way to go Andy, and just remember, big isn't always better. As those 2 Jewish Men used to say in the sitcom "Never mind the quality, feel the width", but what was the title of the show? I regretted producing scale smaller wings as it needs a good wind to work. Presume you are adopting Andy's plan wing size. If so that is a good call IMO. Looking forward to the Orme. Will be staying with a Rugby friend who has a flat in Llandudno - sorry, a bit off topic mr Moderator. I'm not planning to glass mine at all but Warren did mention glassing his! I did discuss wing section with Phil Cooke but decided the difference was not sufficient enough to change it from the plan to the more recently sported SD6060 profiled wings! 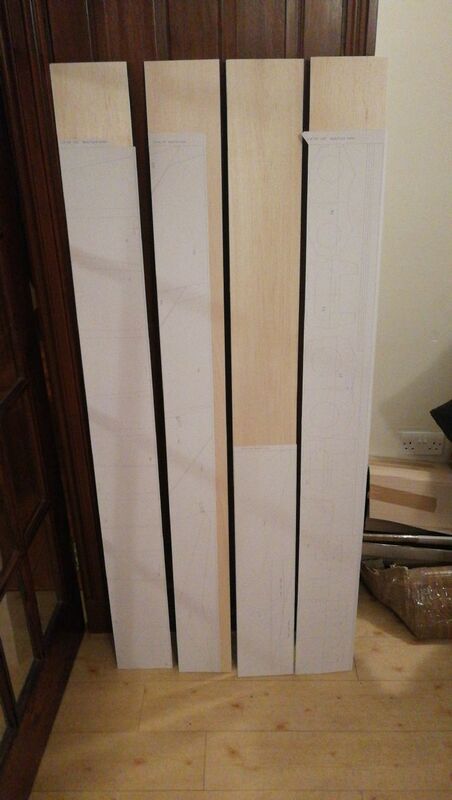 So that will give the models a wingspan of 72 inches (6ft) or 181cm for the new age people! 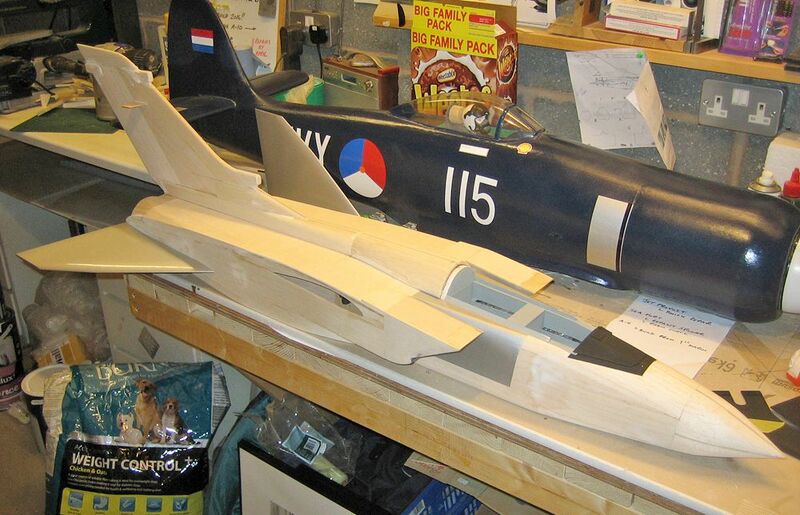 and a fuselage length of around 5.5ft. As for the show you mention...... I think that may be before my time!!!! As those 2 Jewish Men used to say in the sitcom "Never mind the quality, feel the width", but what was the title of the show? Impressive David. Will be watching with interest. Are you going for the foam wing or going built up? Foam or built up? 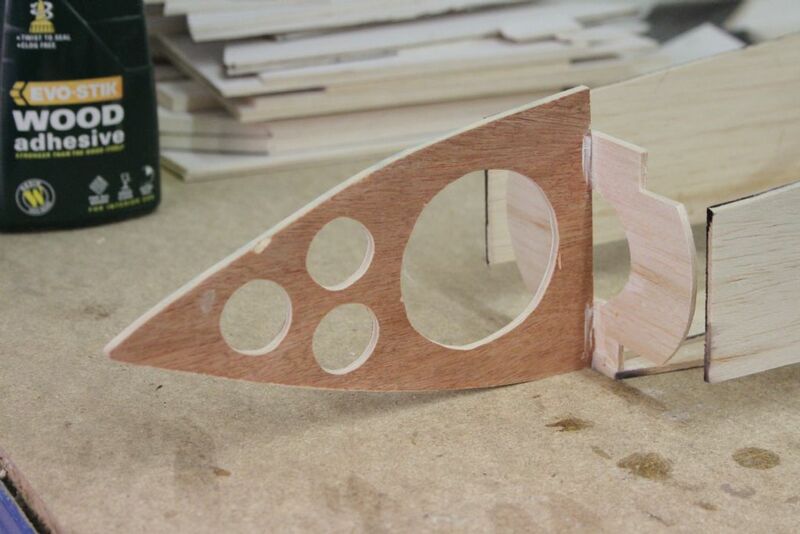 The plan calls for a foam core wing and in keeping with the plan, this is what we will be going for. I have already approached cloud models for a quote (veneered cores only) as we already have L.E. & T. E. from the wood order! We had looked at trying to cut cores ourselves but really don't have the skill or equipment to do them! Thanks Andy but I think we will go with Cloud Models on this one. Once time, fuel & materials etc have been factored in its about the same cost and will allow us to continue with other parts of the build / keeping SWMBO happy! Managed to get started on the accrual build a build a bit and will update sometime soon. Away with the Caravan this weekend and then got to get some models ready for the following weekend at the Orme! I know you have cut the plan up now Andy but I always make a copy of the plan via Mail Box then you have one to destroy on the bench and another to refer to whilst you are building. Just a little tip! Evening Peter. Firstly... Who is Andy? I think a little confusion has sunk in here!!! Andy supplied the plans for Me and Warren! So in relation to the "plan", its only the Parts sheet that has been cut up... Not the 3 view plan. That is in one piece ready to be built over! Well I think its about time I updated the build blog as there has been a little progress since the last update! Now we all know that cutting out parts is a long tedious process for any model.. This one is no exception. 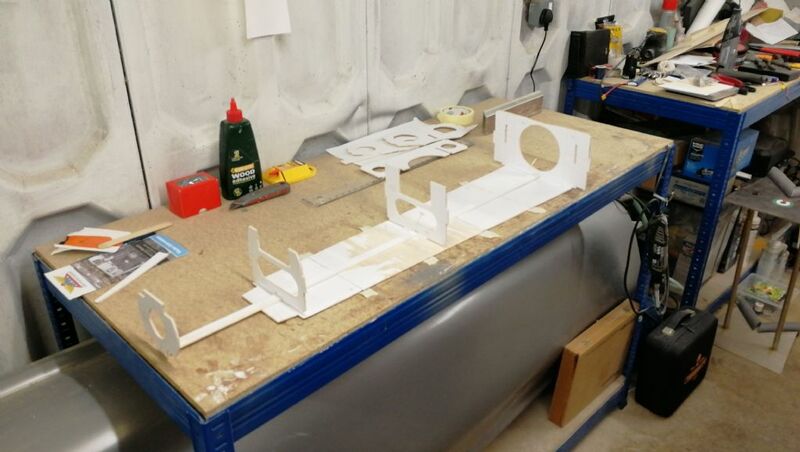 Anyway.... All the main parts have now been cut out and the build is underway! Here's some of the formers cut out with a 30cm rule to give some scale! I did find one issue from the plans which was the fillets for underneath the air intakes..
Cut exactly to the parts sheet, it resulted in having 2 different sized fillets! You can see the difference above where they are stacked! No worries.... A lay over over the plans soon showed that the larger one was in-fact too big and it was reduced to match the smaller one! Panic Over!!! 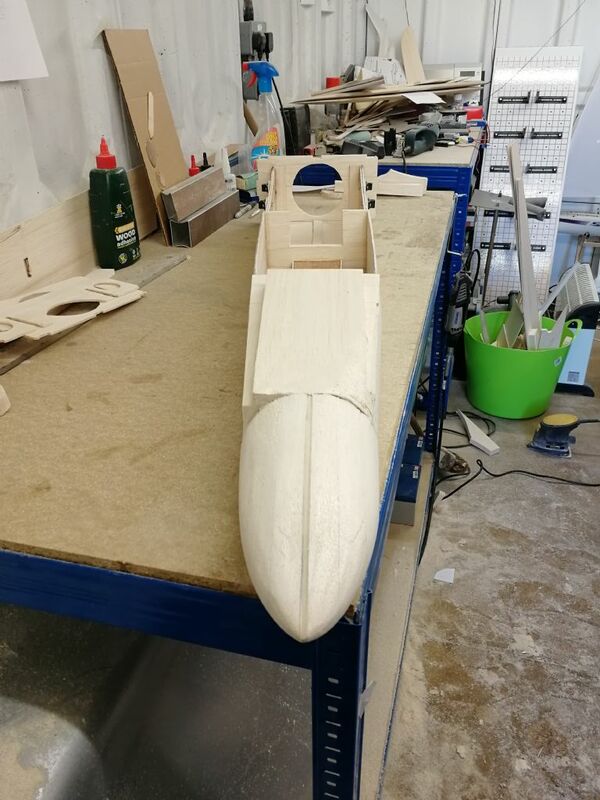 First job of the actual build then was to join all the forward fuselage section base parts to create the fuselage floor and then glue a spine down the centreline onto which all the forward formers and nose are placed! 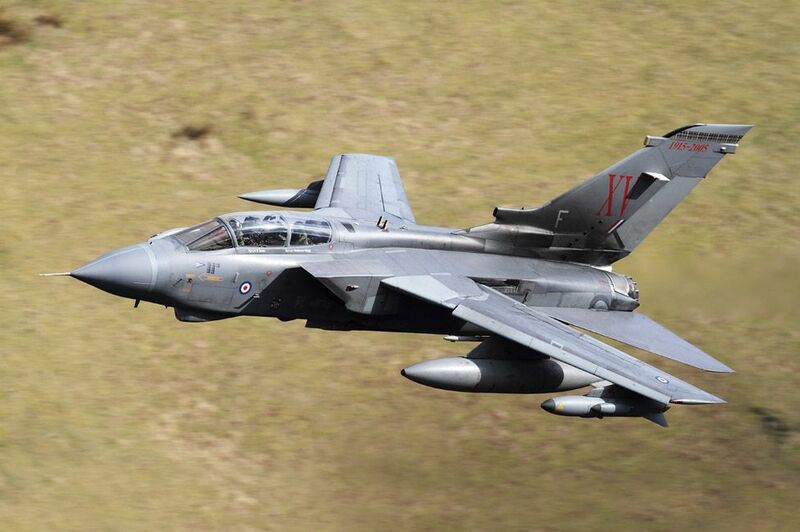 Now the plan as drawn is for the F3 Tornado and I am building the GR4 variation which calls for a different shaped nose! 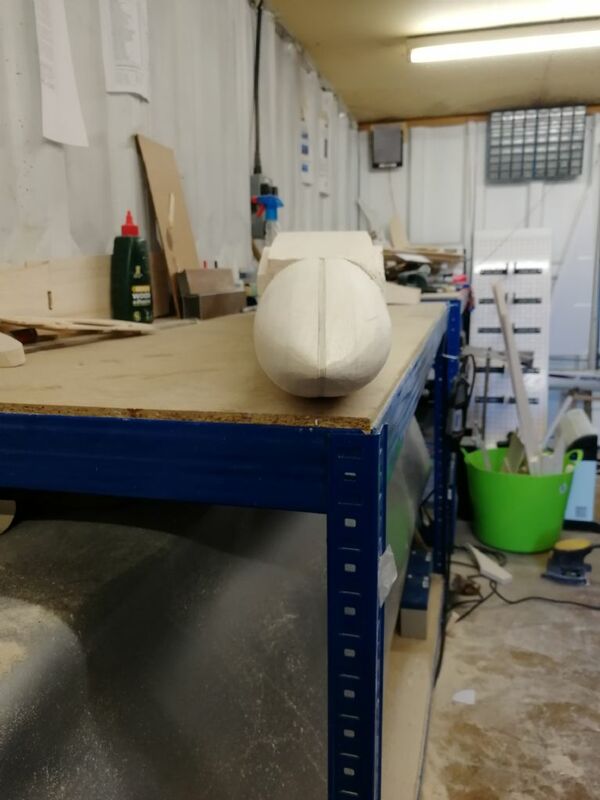 After some careful drawing and scaling I had a nose outline I was happy with and cut this out of 5mm Ply. So here we see the sides dry fitted... Starting to take shape!! 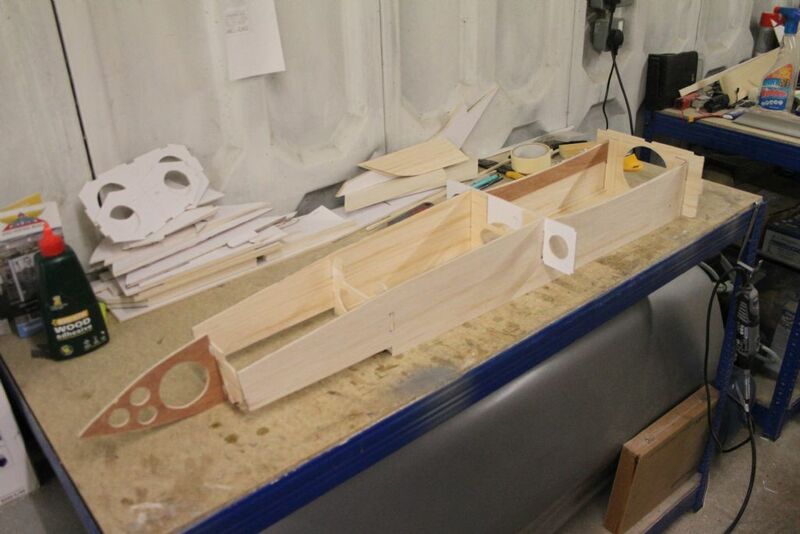 Oh, The bench there is 140cm long and the fuselage upto now is 115cm long! She's quite a size! Will update in time when there is more to tell! Next little steps done on the Tonka! M6 seems to be the largest I could obtain which I am sure would be adequate with the 2 on the plan.... however I decided to go belt and braces and spread the loading across 4! 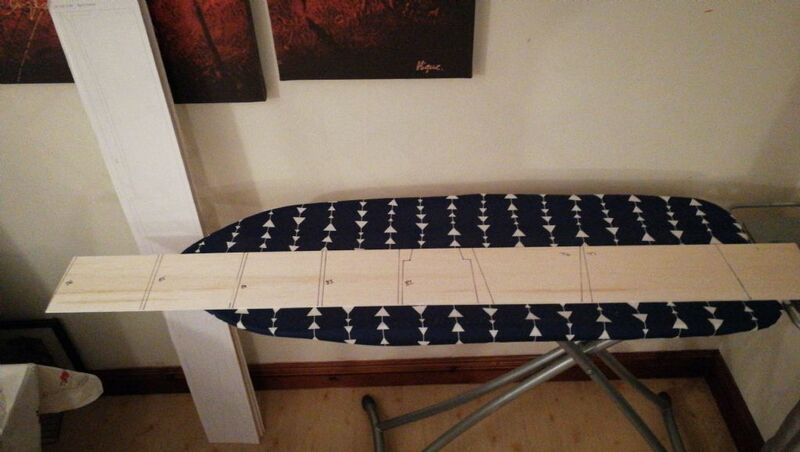 The fuselage sides were lined up, marked with the correct locations and drilled accordingly! 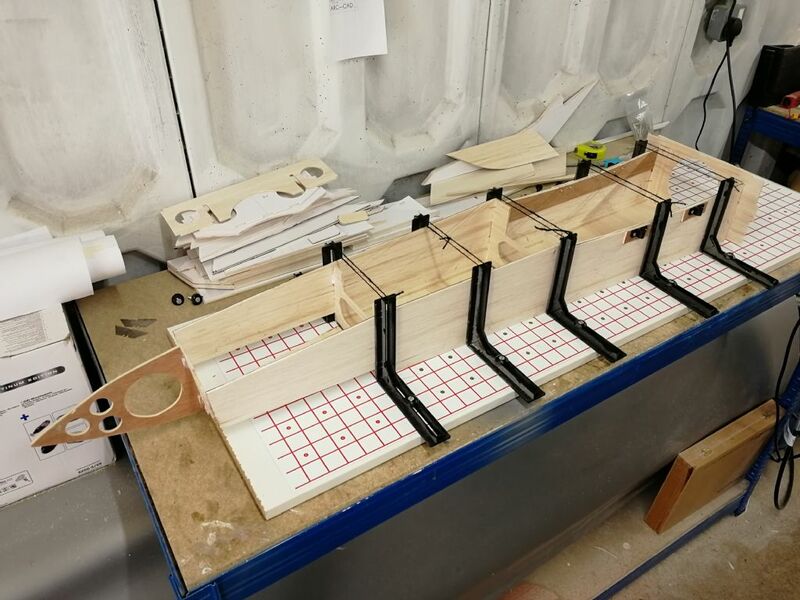 Load spreaders were then glued to the outside of the fuselage sides where the bolt carriers sit and left to dry overnight! Anyway... 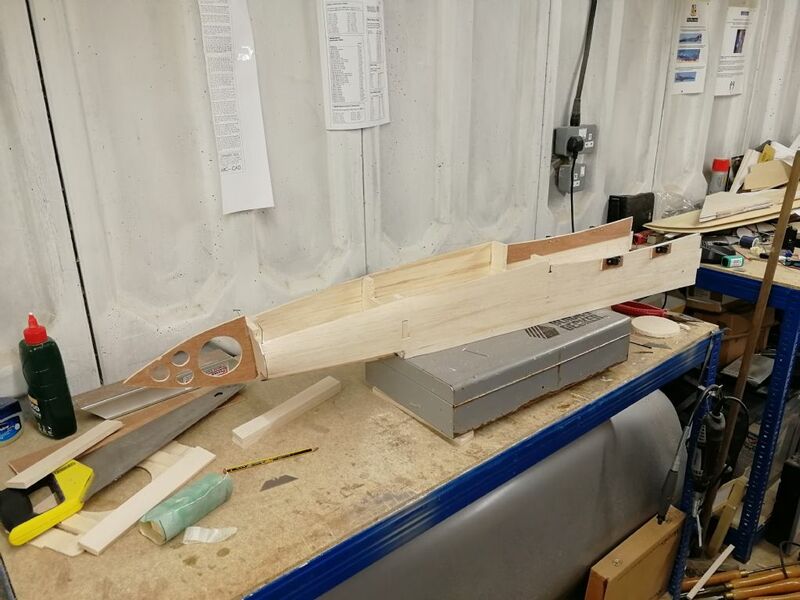 This afternoon, the jig was set up and the fuselage sides where glued up and set into place and the jig tightened! This wont be released until tomorrow! I was just a quick update on the latest little bits completed! Yeah, Yeah, I know..... Its taking some time to build!!! Unfortunately, due to work and family commitments including a 1500 mile touring caravan holiday around Scotland, The Tonka had to take a back seat for a few months however I am now back at it! It became apparent that the formers just were not strong enough to support the build so a considerable upsize was required in the thickness. New formers from F1 - F6 were cut and the old ones carefully removed. 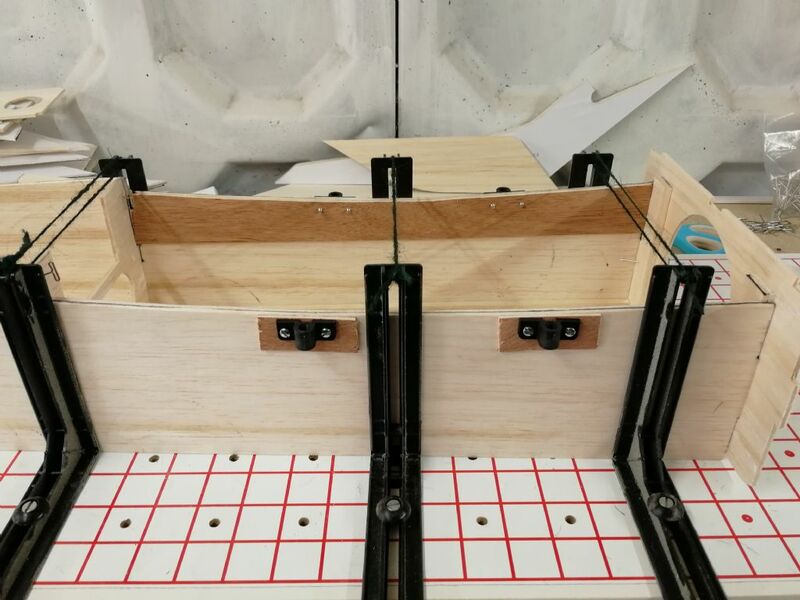 The holes where the formers lock into the fuselage sides and floor were widened accordingly to accept the new formers and these were then glued in. I'm pleased to report that the structure is now very strong and will no doubt be ale to take a few knocks now!! 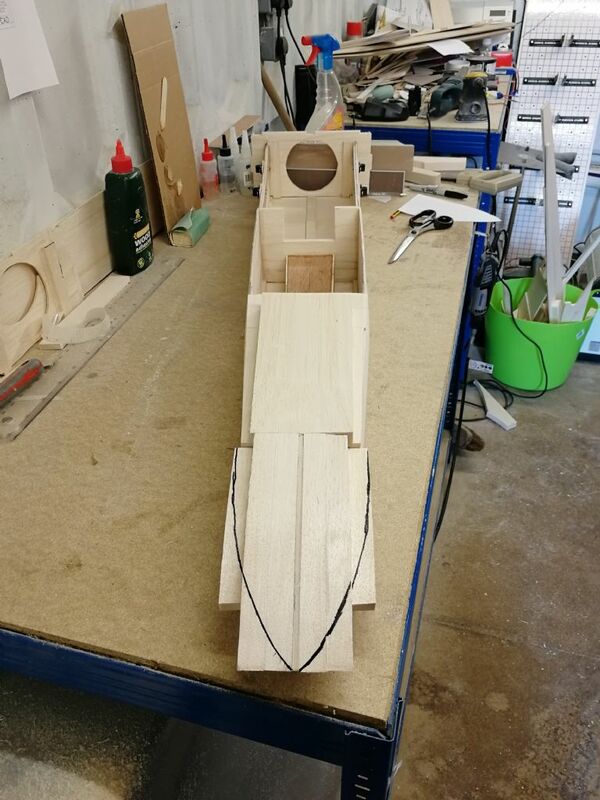 This was made from 2.4mm Ply and fits between F2 and F3 so under the cockpit! I decided (probably unnecessarily) to make the box lightly tapered from back to front. This will allow for a little weight to be added if needed for balancing and a good area for the battery to assist balancing. The box is open at the rear to allow battery removal as required. The eagle eyed among you will notice the box is supported half way along underneath. This was just to prevent flexing and was made of some scrap balsa glued in. 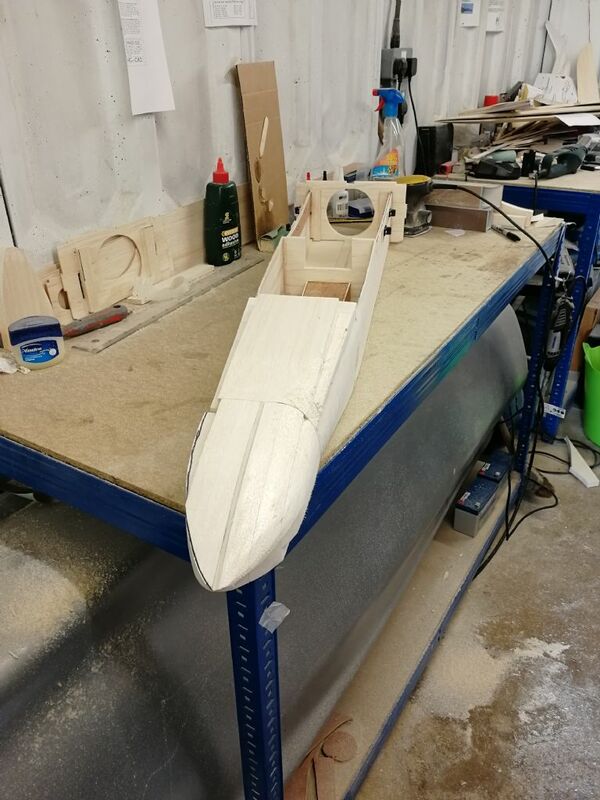 Once this was dry, Nose parts were created to fill out the nose ready for sanding. As I have opted to do a GR4 and had had to create a different nose from the plan, I wasn't able to use the parts sheet for these! A template was made up to assist with shape and this was then marked up on the glued in blocks. Out with the Permagrit blocks and get sanding!! Still quite a bit of shaping to do but its well underway and you can see a nose in there now!!! Again, the eagle eyed people will have noticed a green bucket with lots of wood parts in it in the last pic! These are Warrens Tornado parts waiting to be started! 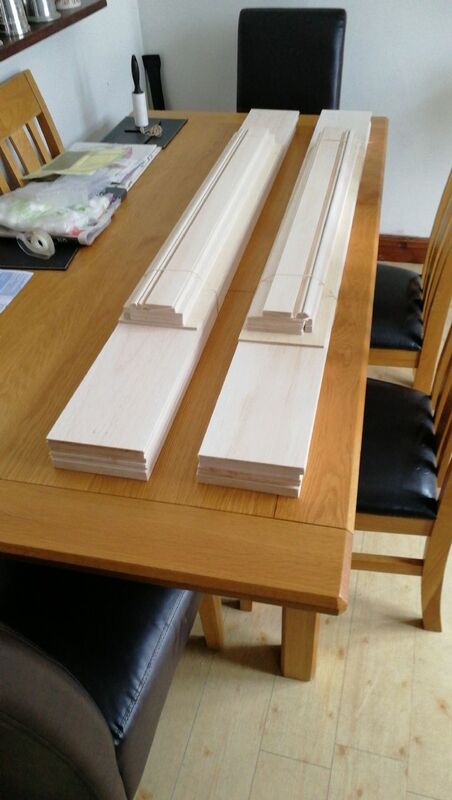 I'm sure Warren will create a blog for his first full from plan build so I wont say anything more about that!